Der Vortrag richtet sich in erster Linie an ALS-Betroffene und in zweiter Linie an deren Angehörige, Therapeuten und Pflegekräfte. Vielen sind die Möglichkeiten, die sich mit Hilfe augengesteuerter Sprach – Computer ergeben, nicht bekannt. Vortrag steht als mp4-Video-Datei zum Download bereit. November 15th I participated in a visit to the Egyptian Museum organized by an ALS interest group of which I am a member. We had an excellent guide. 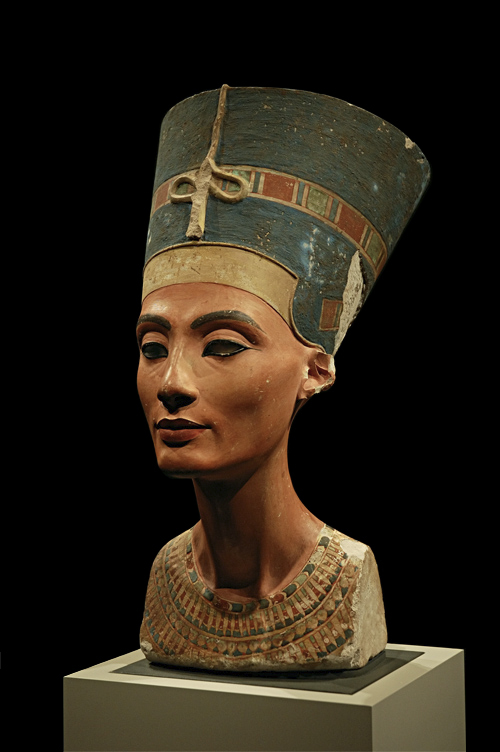 As much as I would have liked to present a picture with me and Nefertiti, pictures are allowed in the museum except of Nefertiti. The reason? Flashes of smart phones could dammage the sensibe paints. When I started this blog with great effort in May 2013 I was still able to operate a regular keyboard with considerable effort. From June to December 2013 I had to go to the hospital on multiple occasions. This caused an interruption in keeping this blog up-to-date. Recently I have started using a computer with eye control. This mechanism works with a keyboard visualized on the computer monitor. Since every letter and every function is inputted individually by fixating on such letter or function on the monitor, the input rate is about the same as typing with one finger, so very slow. But it works. I can now use the Internet, email and other computer programs, a new freedom in an environment with increasing restrictions. Until June 2013 my physical condition was improving at a regular pace: I started training to climb stairs and could move around the apartment with just a cane. This development nourished the hope that the ALS diagnosis might not be the right one and that it could instead be a case of borreliosis. Unfortunately, this does not seem to be the case. Today I can only stand for a short time using a rollator. I can get out of bed only with the assistance of others. Meals are provided via a gastric feeding tube. Breaks from using the respirator have become shorter. And I can only speak with great effort (when not using the respirator), all typical developments for ALS patients. 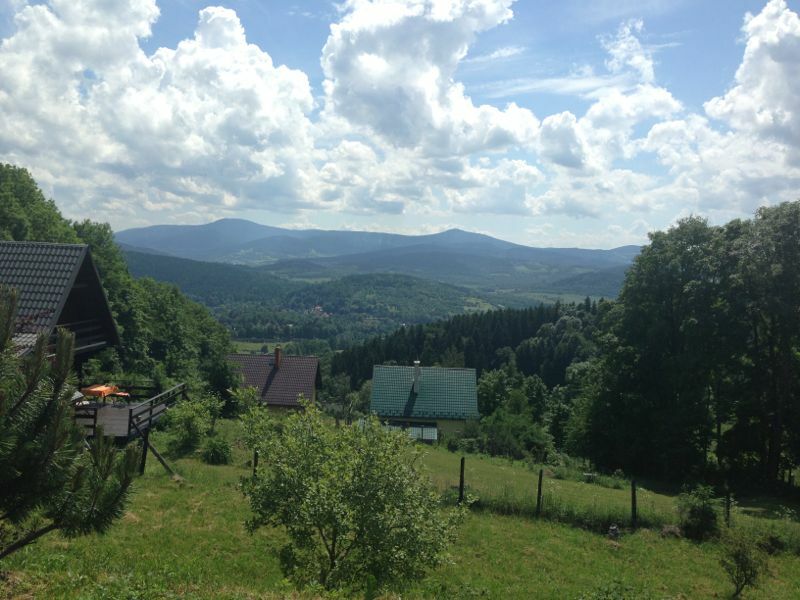 This past August we spent a few days in the vicinity of Bad Landeck / Lądek-Zdrój in Silesia. We had beautiful weather and I greatly enjoyed this trip despite the strenuous drive. How do you travel with a respirator and physical limitations? We rented a van built specifically for people using wheelchairs and this van provided sufficient space for medical equipment and two care workers who accompanied us. I greatly enjoyed the fantastic view from our terrace. Als ich im Mai 2013 mit großer Anstrengung diesen blog begonnen hatte, konnte ich mit Mühe noch eine normale Tastatur bedienen. Von Juni bis Dezember 2013 mußte ich mehrfach ins Krankenhaus. Der blog blieb dabei auf der Strecke. Seit kurzem nutze ich einen Computer mit Augensteuerung. Die Steuerung erfolgt über eine Bildschirmtastatur. Da jeder Buchstabe und jede Funktion einzeln durch ein kurzes Fixieren mit den Augen eingegeben wird, entspricht die Geschwindigkeit dem Tippen mit einem Finger,also sehr langsam. Aber es funktioniert. Internet, email und PC-Programme kann ich damit nutzen, eine neue Freiheit bei ansonsten zunehmenden Einschränkungen. Bis Juni 2013 verbesserte sich meine körperliche Verfassung stetig, ich fing an wieder Treppensteigen zu trainieren, konnte nur mit Stock mich etwas in der Wohnung bewegen. Diese Entwicklung stärkte die Hoffnung, daß die Diagnose ALS vielleicht doch nicht zuträfe und es sich um eine Boreliose handeln könnte. Leider scheint dem nicht so. Heute kann ich nur noch mit Rollator kurz Zeit stehen, Aufstehen ist nur mit Hilfe möglich, Ernährung erfolgt über Magensonde, Pausen ohne Beatmung sind kürzer, Sprechen nur mit Mühe (wenn nicht beatmet), alles typisch für ALS. Im August verbrachten wir einige Tage in der Nähe von Bad Landeck/ Lądek-Zdrój in Schlesien. Wir hatten schönes Wetter und ich habe diese Reise trotz der anstrengenden Fahrt sehr genossen. Wie reist man mit Beatmung und physischen Einschränkungen? Wir haben einen speziell für Rollstuhlfahrer ausgerüsteten Transporter gemietet, der auch genügend Platz für medizinische Geräte und zwei begleitende Pflegekräfte bot. Die wunderschönen Aussicht von unserer Terrasse habe ich sehr genossen. Life is full of surprises. Not all are pleasant. Due to a severe illness, I could not communicate with many of my friends and contacts since July 2012. Still handicapped, i.e. 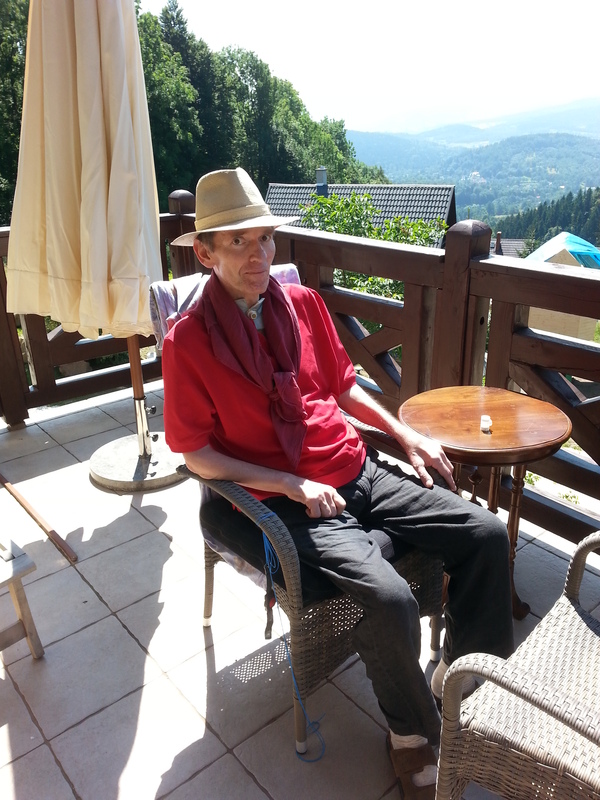 limited ability to speak or write and confined to our apartment, I will use this blog to inform about my New Life after a physical crash and new challenges in a fight for survival and recovery. In addition,I hope to inspire others,facing severe illness, not to give up and use their mental and spiritual forces to reach a state of happiness and peace of mind. Information will be provided in English and German.